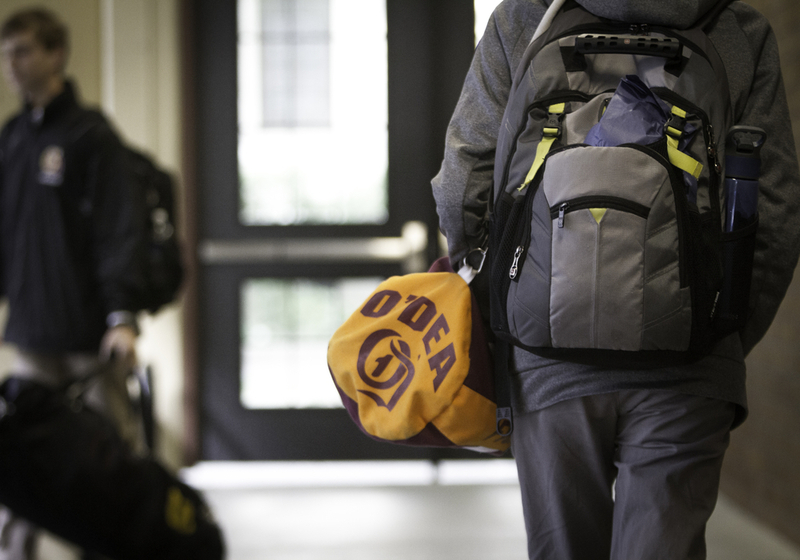 Shadow Days give prospective students an opportunity to experience a day at O’Dea High School. 8th grade visitors will attend two classes and a Mentor Group. O’Dea House Leaders will serve as hosts. To schedule a Shadow Day please complete a CONTACT SHEET and select a preferred visit date. 7:45 AM at the east entrance to the school where 8th grade visitors are greeted by O’Dea students. 11:15 AM at the east entrance of the school – where you dropped him off in the morning. While visiting, 8th grade students must be in accordance with O’Dea’s appearance code. Pants – Dress style pants must be worn. Pants must be worn on or above the hips. Shirts – Shirts with collars must be worn and tucked in at all times while on campus. Shoes – Shoes must have soft soles. Gym shoes are permitted if they are clean, in good condition, and laced. Socks must be worn. Sandals and slippers are not permitted. Adornments – Earrings and sunglasses are not acceptable. Hats may not be worn indoors. Questions? Contact the Admissions Office at (206) 622-1308 or kpatterson@odea.org. We look forward to welcoming you to O’Dea! My experience at O’Dea High School has been beyond anything I ever imagined as an incoming freshman. I never knew the rich tradition I would get to be apart of, or the incredible bonds of brotherhood I would form.